BRUSSELS, Feb 14 2012 (IPS) - Behind closed doors, a trade deal affecting a fifth of the world’s population has been quietly in the works for years. But while details of the free trade agreement (FTA) between the European Union and India remain ambiguous to the general public, concerns continue to mount over the effects such a deal could have on an unsuspecting third party: the affordable drug market of the developing world. Negotiations have been underway for five years, with details on issues such as India’s generic drug market sending delegates from both the EU and India through multiple rounds of deliberations in the hopes of settling on an FTA that would be “mutually beneficial and sustainable”, especially given Europe’s current economic climate. Finally, the five-year ordeal seems to be moving toward a conclusion, according to the European External Action service. The European Union is already India’s primary trade partner and largest source of foreign direct investment (FDI), according to Barroso. EU-India trade doubled from 28.6 billion euros in 2003 to more than 67.9 billion euros in 2010, while EU investment has tripled to three billion euros since 2003. Barroso says the final agreement will be reached in the fall of 2012 and, if passed, would signal the implementation of the largest trade agreement in the world, opening the doors for research and innovation, job creation, and countless business opportunities. But experts and activists are fiercely opposed to the deal, which they say will stunt the availability of affordable medicine in the developing world. These concerns aren’t new; the issue has been on the radars of several organisations for years, with growing concerns over how the trade agreement is being reached and what it means for organisations who work to supply low-cost medicines to those in need. As the FTA has evolved, certain measures such as data exclusivity have been taken off the table, though other potentially harmful provisions remain. Initial opposition to the trade deal centered on issues of intellectual property rights and market access for large European businesses, with the not-for-profit group Corporate Europe Observatory (CEO) at the helm with a petition to halt the trade agreement altogether. The petition had the signatures of over 100 organisations as of December 2010, just prior to the 11th EU-India summit. One of CEO’s biggest concerns is that new trade rules could stall the distribution of generic drugs, thus keeping patented medicine prices high and increasing the overall cost of healthcare for households. 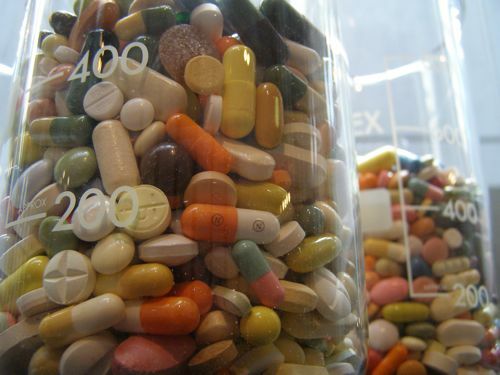 According to Oxfam International, generic competition lowers medicine prices by 90-99 percent. Most significantly, generic competition in India has lowered prices for first line antiretroviral drugs to 100 dollars per year for a single patient, down from 10,000 dollars just 10 years ago for the same treatment. Doctors Without Borders (known by its French acronym MSF), an independent international medical humanitarian organisation that delivers emergency aid, has also been steering opposition to the FTA’s impact on generic drugs. The organisation’s campaign called for Europe to keep their “hands off our medicine” and issued a statement outlining risks associated with the widening net of enforcement provisions, which have serious implications for the availability of medicines. If certain enforcement provisions related to intellectual property are included in the FTA, they could give large pharmaceutical companies the right to sue not only generic drug manufacturers but also generic drug supplies and customers, MSF said. Such measures could deter treatment providers from buying or supplying generic drugs, leaving the far more expensive brand drugs as the only option for people in desperate need. The organisation rallied in New Delhi on Feb. 10 along with HIV-positive community members to call attention to the remaining provisions in the FTA that put the generic drug market in serious jeopardy. Given that Europe posits itself as a world leader in development aid, the potential hypocrisy of the situation isn’t lost: if these provisions are, in fact, included in the FTA, the EU stands to undermine its own large-scale aid efforts by limiting access to life-saving medications. Besides the petition, CEO also launched legal action against the European Commission early last year, claiming that corporate lobby groups were given privileged access to information on the EU-India trade talks. CEO requested the documents in order to monitor the trade deal, which the organisation believes leans much heavily towards the interests of large corporations at the expense of trade unions, NGOs and small enterprises. CEO’s Pia Eberhardt said that she expects a hearing within the first half of this year, though no formal date has been set. From that point, it will take roughly six additional months to reach a conclusion. But while the case circles the justice system, the FTA could slip through the cracks.